Tired of your plain incense stick holder that simply isn’t unique enough and doesn’t convey the whole spa experience? Check out our stunningly handcrafted ceramic backflow incense burner that creates magical moments when used. When incense cone is lit in the burner, trails of smoke mimics a mist at the base of the little monk figurine. Once you light the cone in the incense burner, it can take a little while to start burning, but once it does it's so magical! The way the smoke flows is actually quite mesmerizing, and everyone who’ll see it will be more than impressed. Our incense holder can handle sticks equally well as cones. 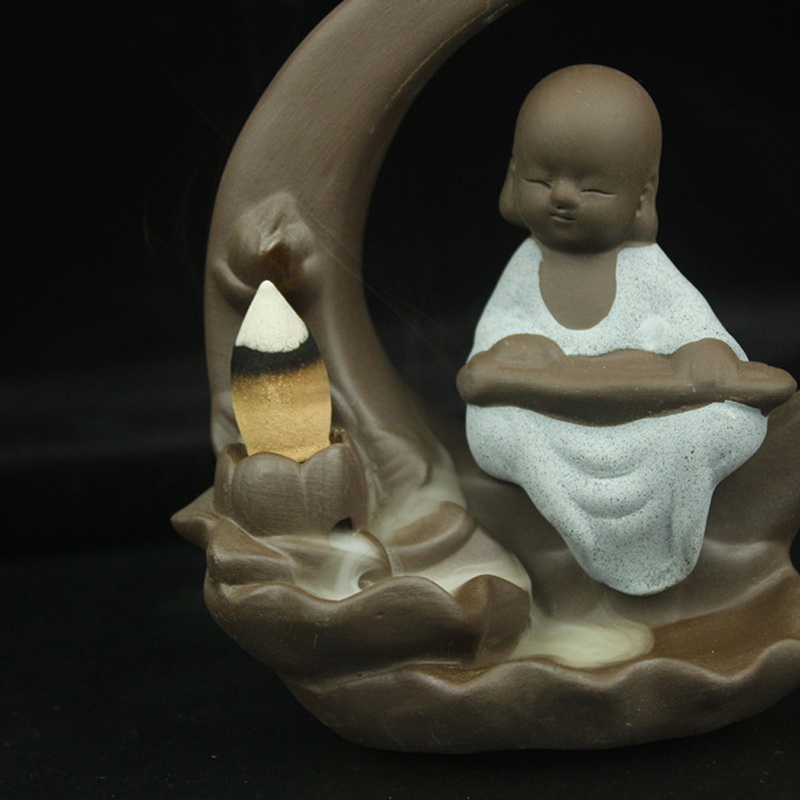 Little monk is beautifully sculpted, making this backflow incense burner a stunning piece of art.